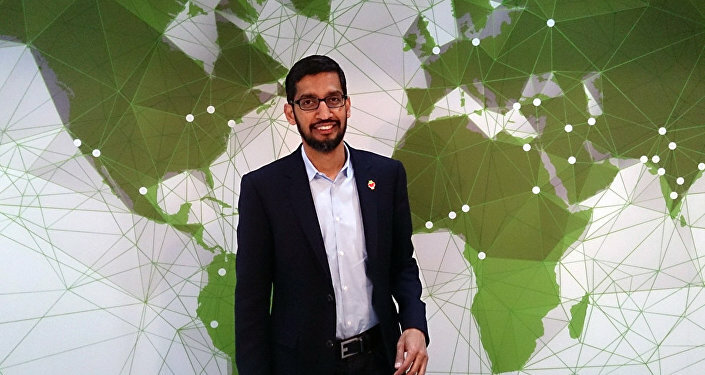 Google’s CEO Sundar Pichai highlighted the importance of artificial intelligence, but cautioned that we have a right to be concerned about it. Google’s AI Company DeepMind announced that it is forming a research group to look into the ethics of AI. Radio Sputnik discussed this with Moshe Vardi, professor of computer science at Rice University. Artificial intelligence, like every technology, comes with benefits and risks, according to Moshe Vardi, who in an interview with Radio Sputnik said that technology and automation have been replacing human jobs for a long time now. “Machines were stronger than us, more powerful than us, now they are gradually becoming smarter than us. And that means to compete with machines, humans have to get better and better,” Vardi said. “China has tried it and the West arose and continued to develop while China stagnated. So unless we live in a world where somehow we can control everyone it’s unlikely that we will be able to stop the advancements of technology,” Vardi told Sputnik. According to the professor, in place of trying to stop this advancement it’s better to learn how to regulate it. He gave an example of cars and how humans have tried to engineer safer cars with various safety elements such as air bags, etc. to regulate the dangers of driving. “I think we will get wiser with using computer technology, in particular AI, but it’s unlikely that we will stop it because who is going to stop it?” Vardi said. According to the professor, every technology comes with benefits and every technology comes with risks, and humans have dealt with learning how to cope with technology, to cope with fire, the automobile and so on. “We have learnt to cope with many technologies, we are just too young to deal with AI and we have not yet developed a regulatory or a legal framework to decide how do we manage it and that’s partly what we have to do right now. We need more social wisdom to handle the technology,” Vardi said. The views and opinions expressed by Moshe Vardi are those of the analyst and do not necessarily reflect those of Sputnik.